Ang Vaughn: 6 Bike Must-Haves! 2. Bike Lock. Some people happen to spend their spare time stealing bicycles. Lock it up. 3. Dutch Style Bicycles make wearing dresses on bikes doable. I really don't like flashing people, and a step-thru bike would make me feel a little less nervous about that. This 7 gear from PUBLIC is on my wishlist! 5. 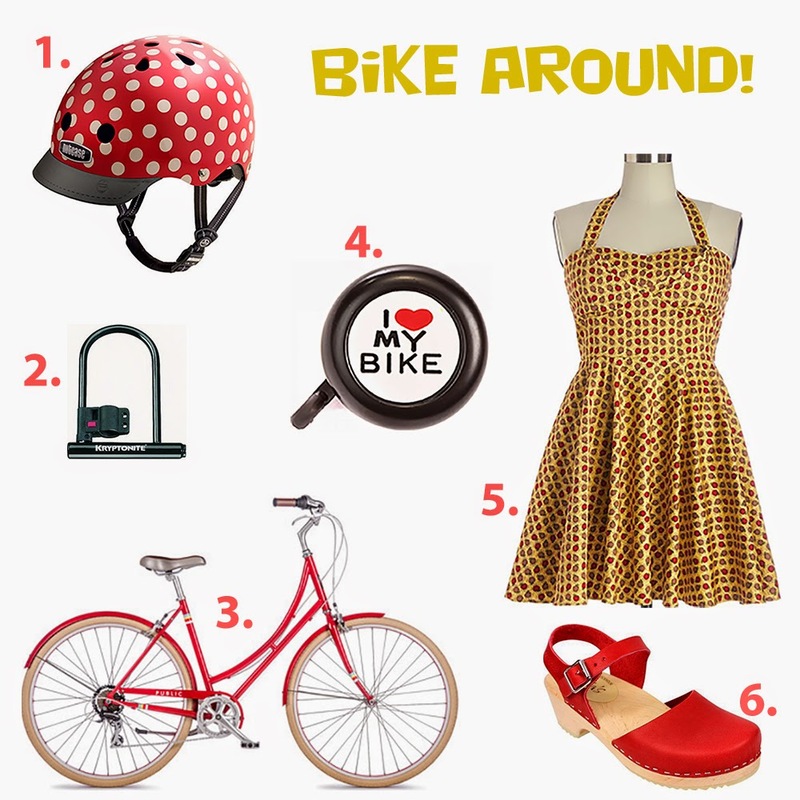 A pretty dress, because obviously you're super adorable and you wear dresses on bikes. Plus, this one has apples on it! I didn't wear one until this year actually, because my physician got into an accident on the bike trail and had to close down his practice because of his brain damage...super sad..so I was like..ok I need a helmet but not an ugly one, haha. I love this all. I would like it all please. Seriously, my boyfriend got me a bike this summer and I need a helmet that one has to be the cutest around. I want some clogs badly! aww I so want to see your bike now! nutcase helmets are the best--and they aren't too pricey! Aw, so cute! I love the helmet. It's true, you need to protect your investment. Lol.